Earlier this month, Microsoft & Steelcase announced a partnership for the “development of Technology-Enabled Spaces designed to boost creative work”. “Microsoft and Steelcase believe that the future of work is creative. In order to drive growth, agility and innovation in the future, we must embrace the need for transformative ideas and harness creative potential at work. 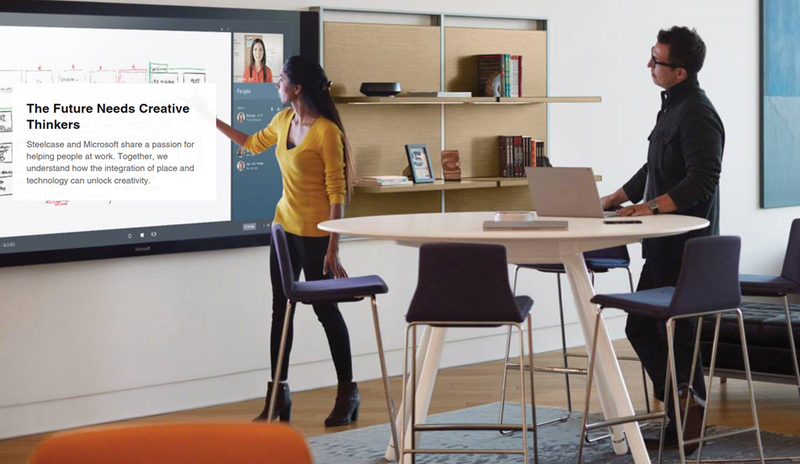 We will establish a broad focus on integrating the best of the Microsoft Surface family with Steelcase’s products and office space solutions.